Children can benefit from getting familiar with banking. It's never too early for kids to start saving money, and a savings account for a minor child can give her an excellent opportunity to learn to manage her money. 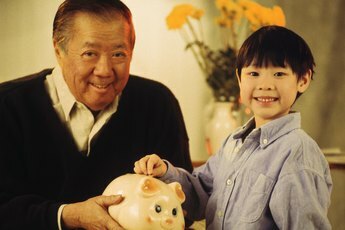 It's easy to open a joint savings account with a minor child, and many banks offer savings accounts designed specifically for children. Children can't legally sign contracts, so banks require that a parent or guardian be listed as a joint owner of the account. 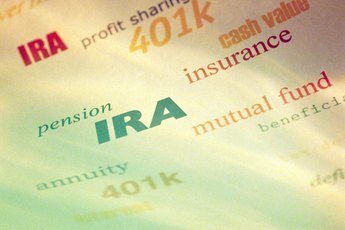 Joint accounts for children are often called custodial accounts because the parent has custody of and responsibility for the account but the account is in the child's name and the child has access to the funds. You'll need to put your name on the application and, if you've ever had trouble opening a bank account, your child might have some difficulty as well. When applying for the account, you'll generally have to provide your full name, contact information and Social Security number. Even if you have bad credit, banks generally accept applications. The only exceptions to this occur when you've been entered into a bank system for people who overdraft and then abandon their accounts or for people who repeatedly overdraw their accounts. You'll also need to provide your child's full name and might have to provide proof that you are her parent or legal guardian. At most banks, your name will remain on the account until your child is above the age of 18 and you ask to remove your name. When your child moves out or goes away to college, you'll still be held responsible for her spending decisions if your name is on the account. Consider removing your name when your child becomes an adult or continuing to monitor the account. What Is a Restricted Bank Account? Can a Minor Buy a Certificate of Deposit?